We were booked by a corporate client to decorate the national railway museum in York for their annual Christmas party for 800 guests. The turnaround time from the venue closing to the public at 5pm and the party starting at 7pm meant that our event crew had to rush around to get everything set up in time. As guests arrived they had to walk through the museum shop to gain access to the main area in the museum where the evening party was being held. To transform the shop we used starcloths attached to our pipe and base system which were lifted to 4m high. This not only was a wow factor as the guests walked in but also hid all of the items in the gift shop out of view from the guests. 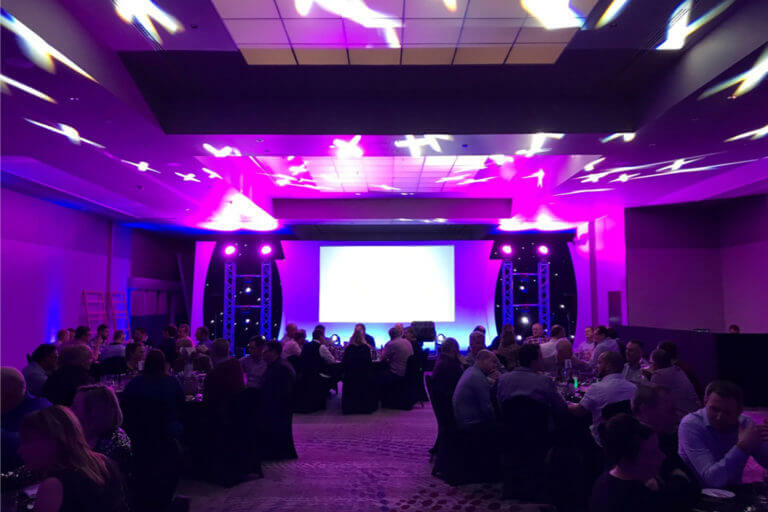 As guests walked into the venue they will have seen our LED Uplighters, over 100 were used in total, they were set to red and green and placed alternately around the huge venue. We lit trees and walls as well as a number of trains in the museum. We installed a large black and white chequerboard dance floor into the venue for the 800 evening guests to dance on. The venue had a couple of pillars where the dance floor was to be laid which we had to work around. For the evening entertainment there was a live band as well as one of our corporate DJ’s keeping the guests entertained. As a backdrop for the DJ and band we used a 7m x 5m black wool surge starcloth backdrop, this helped to give the band more of a presence in the room. We also provided the lighting for the dance floor which filled it with colour for the evening dancing. To find out more about booking any of our products or services for your event at the National Railway Museum in York don’t hesitate to get in touch by either phone or email.